The Extended Enterprise Solution for Sage MAS 90 and MAS 200 (formerly known as Project Diamond) was detailed for the first time this morning in an 8 am session at the Sage Software Insights 2008 conference in Washington DC. This new package bundles many of the core MAS 90 and MAS 200 modules (listed below). What’s really news is that it also includes integration to SageCRM and Sage FAS (Fixed Assets). The package is offered at a fixed per user cost which is a break from Sage Software’s prior pricing strategy based on a per module cost. The deadline for partners to be certified for this product is June 2009. 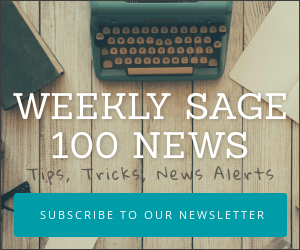 Sage Software is offering free certification for partners who enroll prior to June 30, 2008 (you do not have to take the class — only enroll for it). Phase one of this rollout is aimed for new customers. Sage indicates there will be some migration opportunities in the September 2008 timeframe. Pricing details for existing customers will NOT be available until September. Shipping dates are still TBA. Since Sage Extended Enterprise is built on Sage MAS 90 v4.3, the release date will happen after the general availability of version 4.3 which is expected to be the June / July timeframe. The above information was gathered during the initial announcement at the Sage Software Insights conference in Washington DC on May 14, 2008. Please verify details with your Sage Business Partner prior to making any purchasing decisions.